Gentlemen and Gangsters are the eagerly anticipated headline act for this year’s Kinsale Jazz Festival. 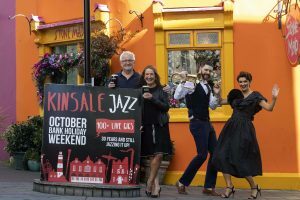 An action packed and exciting festival programme has just been announced featuring over 100 free gigs in Kinsale across the 2018 October Bank Holiday Weekend. The main act Gentlemen & Gangsters play traditional New Orleans hot jazz with a touch of swing and stay true to the jazz giants such as Louis Armstrong, Bix Beiderbecke, Muggsy Spanier, Sidney Bechet and Duke Ellington. The streets of Kinsale will come alive with music on the Sunday as a jazz procession featuring the New York Brass Band will depart from the Spaniard at 3pm and end up at the Trident Hotel . Over 100 gigs are confirmed in more than 20 venues from noon until late each day. Highly anticipated acts include Loose Change, String Fellows and Billy Crosbie featuring Deirdre McCullen. “There really is a fantastic line-up this year perfectly complimenting the events taking place in the City”, said Sinead Dunphy, Festival Director of the Guinness Cork Jazz Festival. 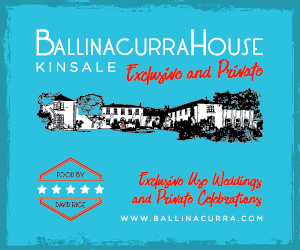 “I would encourage everyone to spend a few hours of the weekend in Kinsale. Gentlemen and Gangsters are a stellar act and a real coup for the town”. The fringe event in Kinsale is run by local Kinsale Vintners, together with Una McCarthy from Diageo. 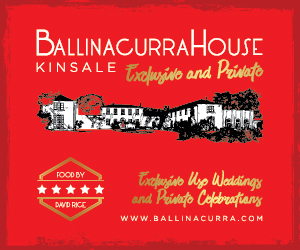 For updates see http://www.kinsale.ie and http://www.guinnessjazzfestival.com.